Looking for a quick but tasty dish idea? Look no more, this is it. 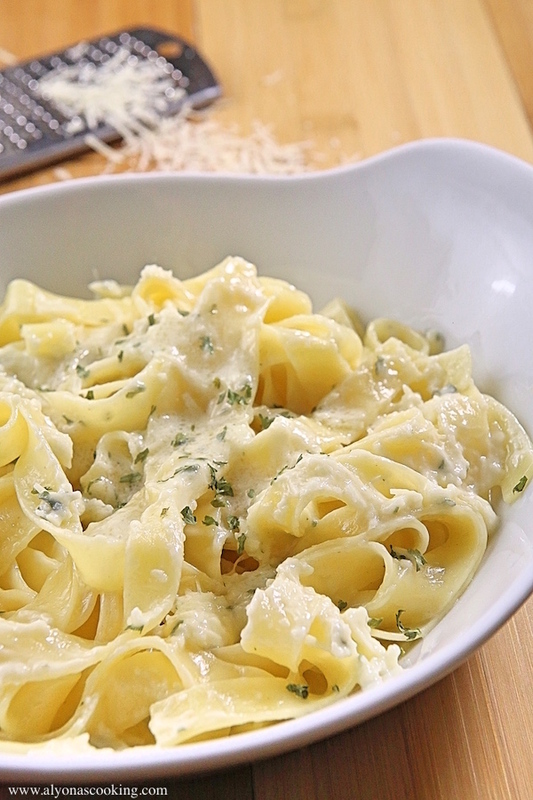 One-Pot Alfredo Recipe is all cooked using only one pot. And the outcome is amazing, very tasty noodles, and fewer pots to clean. I got an idea for this recipe after watching “7 Easy Chicken Dinners” on Youtube. The short clip featured multiple chicken recipes by Tasty (BuzzFeed.) Although their version was with chicken and more parmesan cheese, you can easily adjust the ingredients to your preference. If you can locate Colavita Fettuccine Nest Pasta sold in 1 lb bags, I would highly recommend it over the straight pasta for Alfredo making. This meal can be done in as fast as 15 minutes! 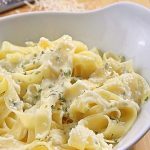 A quick and tasty alfredo dish to try! 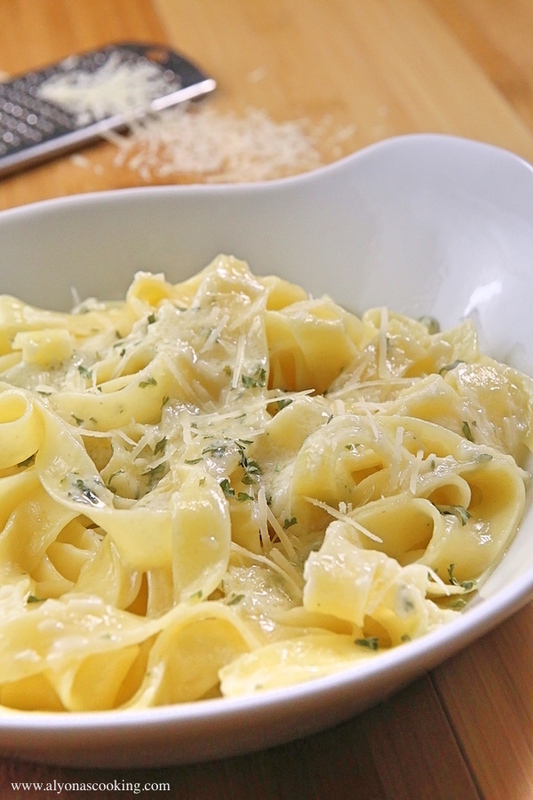 Also, check out my Olive Garden Copycat Alfredo (Whipped, No-Cook Recipe). Sauté garlic with oil in a large pot for 30 seconds. Add broth, cream, and pasta; bring to a boil and boil for 10 minutes uncovered. Remove from heat and stir in cheese. Serve. This One-Pot Alfredo Recipe is all cooked using only one pot. And the outcome is amazing, very tasty noodles and fewer pots to clean. What pasta did you use for this recipe? I used Colavita Fettuccine Nest Pasta’s that I purchased from Price-Rite. Its dried pasta in round nests instead of straight fettuccine sold in a box, in my opinion the nest pasta is much more better in texture, try them out if you can locate it.